Online communities have been playing an increasingly important role supporting grassroots initiatives that are sourcing solutions for societal challenges in the areas of sustainability and social innovation. As these platforms continue to grow and expand, it is increasingly difficult for community managers to ensure efficient debates among citizens. The CATALYST project developed and tested collective intelligence tools, which were made available as open source solutions to any communities interested in adopting them. The CATALYST eco-system of tools enables online communities to communicate easily and more effectively. It supports community managers and harvesters in managing the community efficiently. This includes, for example, providing information on recently active or inactive users, structuring discussions, and highlighting key ideas. The CSCP was one of the project’s testing partners. Our role was to demonstrate how CATALYST’s tools make use of collective intelligence—an essential field of social innovation. In this pilot, online discussions were conducted around sustainable lifestyles. The first round of testing was completed in 2014. The LiteMap tool allows visualising complex topics with an argument map; it was evaluated through the online platform on sustainable consumption and lifestyles Utopia.de. The second test took place using the discussion tool Assembl with the 7th Sustainable Summer School in 2015. The test results can be found in our publications along with the project’s final report. 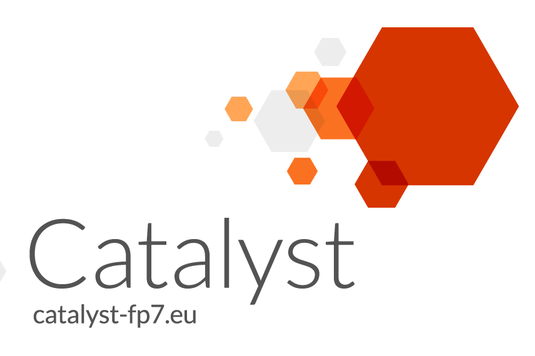 The CATALYST project was one of the first CAPS (Collective Awareness Platforms for Sustainability and Social Innovation) projects funded by the European Union. This project has received funding from the European Union’s Seventh Framework Programme for research, technological development, and demonstration under grant agreement n°6611188.